What one family perceives as affordable may seem out of reach for another. But through generous financial aid packages, scholarships, federal and state grants, and work study programs, we'll work with you to develop a plan that meets your needs. A St. Ambrose University education is an investment in yourself. Our personalized learning environment means you'll get more out of your coursework and a greater return on your investment based on lifetime earnings. Students who adhere to the plan terms are guaranteed to graduate on time—in four years or less. If any coursework remains after four years, the university will waive tuition and fees for that coursework. A St. Ambrose Education is definitely worth it. Learn how we can customize packages that maximize financial aid to help defray your direct costs as a residential student, plus look into our various payment plans and institutional scholarships. You may qualify for a scholarship due to your talent in athletics. The award varies and is based on performance and ability. Contact us to see if you're eligible. Financial aid is about discovering options that work for your family's situation. Together, our financial aid office will work with you to find the right combination. Perhaps it's a scholarship or grant based on your stellar grades in high school. Keeping up your performance on the playing field and in the classroom may reap dividends for you with an athletic scholarship. There are also scholarships and grants based on demonstrated financial need, of course. Read and understand the factors below that may affect your financial aid. Maintain satisfactory progress towards your degree. Changes in your enrollment also will affect your financial aid. Click here to review the Satisfactory Academic Progress Policy. It is not necessary to formally accept your award letter; we will assume you want the awards you have been given. However, if you would like to decline any or all of your awards, please email us at beecentral@sau.edu or call our office at 563-333-5775. If there is a Federal Direct Subsidized or Unsubsidized loan listed on your award letter, be sure you follow through with the Direct Loan Process. Students returning to St. Ambrose for a subsequent term may skip this step if they have already borrowed Direct Loans before. If these types of awards are the only thing listed on your award letter, then there is nothing else you need to do. Acceptance of these awards is assumed and they will automatically be posted to your student account accordingly. If you have work study listed on your award letter, you will need to contact the Career Center in order to apply for a position. If you have a Federal Direct Subsidized or Unsubsidized loan listed on your award letter you will need to complete the Direct Loan Process in order to receive those funds if you haven't already done so. Federal Perkins Loans are processed through the Student Accounts Office. Visit the Federal Perkins Loans page for more information. FAFSA forms must be filed every year. To be considered for an Iowa Tuition Grant, the filing deadline is July 1. 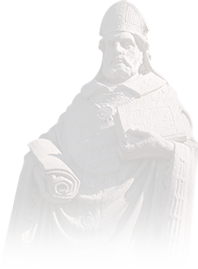 The St. Ambrose priority deadline is March 15 for some institutional funds. The Financial Aid Office has the right to adjust your award at any time due to changes in your financial, academic, enrollment, or housing status. Awards offered from State and Federal programs are contingent upon legislative allocation of funds and maximum limits allowed. You must report any assistance you receive from outside sources – including assistance from your employer – to the Financial Aid Office. There is no institutional aid for summer sessions. Federal Loans may be available if you are enrolled at least 1/2 time. All financial aid awards, including loans, are disbursed in two disbursements: one for the fall term and one for the spring term. If you are a first-time borrower, there is a 30-day hold on your first disbursement. Once the loan funds have been applied to your account and if you have awards in excess of your costs, you may receive a refund. Any other questions regarding your financial aid should be directed to the Financial Aid Office. If you are receiving assistance under the work study program, you must understand that the amount shown on your award letter is the amount we expect you to earn during one academic year if you work all your allotted hours. Any additional earnings must be approved by your department supervisor and taken into consideration in your financial award package. Part of the financial aid funds that St. Ambrose awards come from monies provided through the generous support of St. Ambrose University benefactors. Most endowed scholarships are meant to provide financial support for St. Ambrose University's academic and need based awards. Due to this, in some cases you may see a portion of your Academic Scholarship, for example, being replaced by a named endowed scholarship. The total dollar amount you receive between the two awards, however, will remain unchanged. Recipients are chosen based on the criteria established by the donor, which include, but are not limited to: major, class rank, GPA, performance in a fine art, or residency. You may be contacted by the Advancement Office to write a thank you letter to the donor. What happens if I withdraw or need to drop a class? If you drop a class, it may affect the amount of aid you can receive. It is very important to visit your Financial Aid counselor if you are planning on dropping a class. If you are going to withdraw completely from all your classes, your financial aid awards will be prorated according to the amount of time you were actually enrolled. It is possible that you may end up owing the University for a portion of your expenses incurred. More information regarding this policy is available in the University catalog. Please contact your Financial Aid counselor if you are considering dropping classes or withdrawing from the University. What happens if I currently live on campus and move off campus? 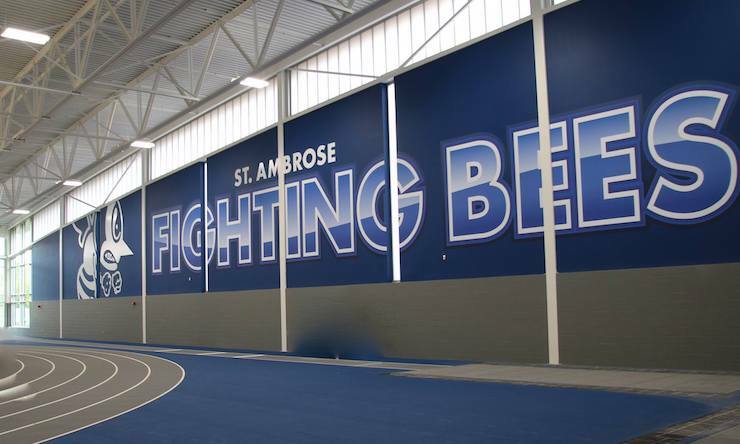 St. Ambrose University has an Off Campus cap of $12,000 for Institutional funds. If you have more than $12,000 in Institutional funds and move off campus, your scholarships or grants could be reduced to the $12,000 cap. Institutional funds include, but are not limited to: Academic Scholarships, University Grants, Athletic Grants or Scholarships, other performance type scholarships. This cap does not include Federal or State funds or loans. If you are considering moving Off Campus and have questions, please contact our office. Institutional scholarships are at the discretion of the SAU Financial Aid Office and can be adjusted at any time based on changes in a student's financial, academic, housing, or enrollment status. What happens if you believe there is a descrepancy in the amount/type of federal loan you are receiving? Contact the Financial Aid Office. If loan issues can't be resolved, the FSA Student Loan Ombudsman for student loan issues is available. An ombudsman resolves disputes from a neitral, independent viewpoint. The FSA Student Loan Ombudsman Group will informally research a borrower problem and suggest soutions to resolve the problem.